This pyramid is so cool!!. 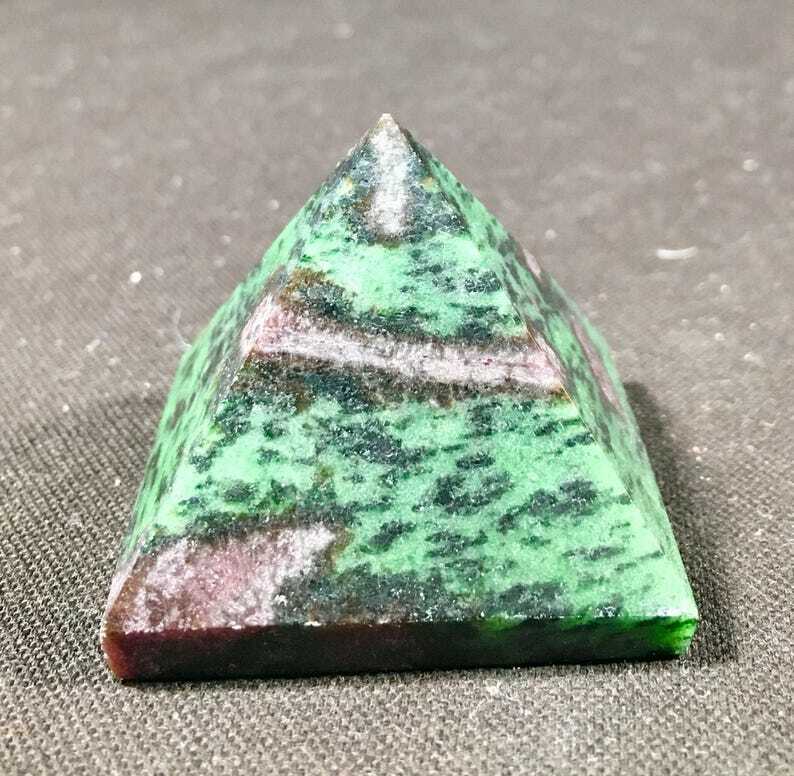 It's a beautiful red ruby swirls in vibrant green zoisite. This pyramid is about 1.75 inches tip to tip. It is so much fun to look at.. It had a really peppy happy energy!.